(1) NEBULA WEEKEND WITH THE QUEEN. Read “The Merqueen’s Report: Nebula Awards Weekend, 2018” by Cat Rambo. …At five, the always cool Monica Valentinelli came to my hotel room and helped me begin the transformation into Mer queen. I had tweeted about the dress months before, at which point my friend Kris Dikeman said it needed a seashell tiara, Nick Hyle then volunteered a trident, and by the time of the Nebulas I was a little worried it would turn out to be a costume instead of an outfit and instead it was GLORIOUS and I felt like the belle of the underwater ball…. …Sunday morning was time for my favorite part and another one I will take full credit for implementing, unlike most of the other stuff: the volunteer breakfast. We had close to fifty people show up this time, which was the third so far, and people seemed to happy to get their fancy certificates (suitable for framing!) and get a chance to talk with each other. I told the joke I stole from Joe Haldeman about SFWA, like soylent green, being made of people once again and a good time was had by all…. (2) HEAR ABOUT SFF ARCHITECTURE. Henry Lien will be one of the participants in “Imagined Cities: Innovative Use of Architecture in Film and Literature” in LA on June 2. The Taiwan Academy in Los Angeles will host a conversation between renowned architect Jimenez Lai and children’s fantasy author Henry Lien entitled Imagined Cities: Innovative Uses of Architecture in Film and Literature at its gallery in Westwood on Saturday, June 2, 2018 from 2:00 p.m. to 4:00 p.m. The conversation is in connection with the Taiwan Academy’s current exhibition Rooftops & Backyards: Expanding Taipei & L.A., which explores the construction of “architecture on top of architecture”, and multi-purpose use of properties as ways that cities deal with the issue of limited space in densely populated urban areas. 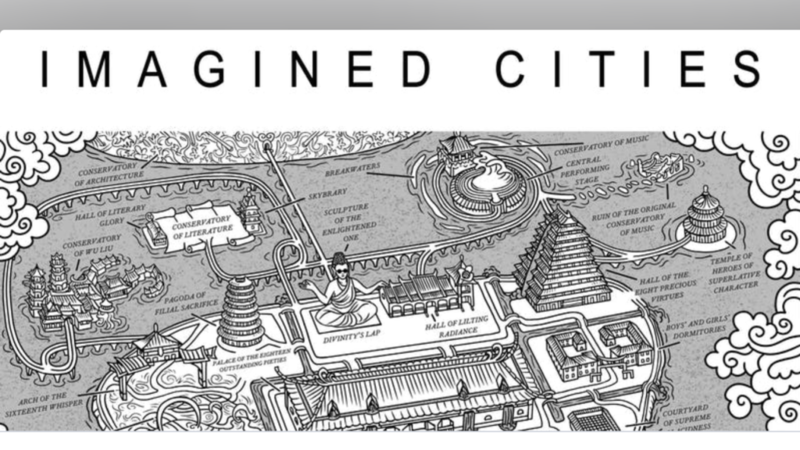 The Imagined Cities event explores such themes in fictional depictions of cities. Jimenez Lai, the founding partner of Los Angeles-based studio Bureau Spectacular and the curator of Rooftops & Backyards: Expanding Taipei & L.A., hopes to explore the universal issue of limited space in densely populated urban areas through the dialogue and the exhibition. Friends of Gardner – He is currently in Pennsylvania hospital under medical sedation and intubated. While in the hospital for a chronic condition he had a serious and rapid deterioration causing some major systems to fail. He has an amazing team of doctors and the doctors are cautiously optimistic that his condition can be reversed! I will do my best to keep everyone informed. I am comforted and Gardner would be humbled by the hundreds of IM I received in the last 24 hrs expressing concern and love for my father. Due to the mere quantity, please forgive me if I am unable to respond personally to them all. Gardner is blessed to be so loved by so many. Please continue to send good vibes, well wishes, and prayers his way. It is appreciated and thank you. (4) THEY’LL BE MISSED. Sharon Lee and Steve Miller have moved from the country town of Winslow, Maine to the city of Waterville, Maine, and that’s affected their summer travel plans. They tell how in the latest “Liaden Universe® Infodump No. 120”. We had intended to attend WorldCon; we had budgeted time and money; arranged schedules, and then — in late February, we looked at a house in town (we have long been looking to move into town, closer to services and conveniences), fell in love with the place, made an offer, and — the long and short of it is that, all the money and time we had budgeted for attending WorldCon instead went to moving into the new house. We’re very sorry that we won’t be at the con with our friends and readers, old and new. But we’re very happy with our new situation. On the topic of conventions — this is the first time since 1997, that we haven’t had a convention, or three, on the schedule. That feels. . .strange, indeed. Everyone who is going to WorldCon — have fun! (5) ICE STATION EUROPA. Concatenation’s Jonathan Cowie dropped the 2010: Odyssey Two tagline “All these worlds are yours – Except Europa” when sending along this link to Nature’s article “Evidence of a plume on Europa from Galileo magnetic and plasma wave signatures” [PDF file]. The icy surface of Jupiter’s moon, Europa, is thought to lie on top of a global ocean1–4. Signatures in some Hubble Space Telescope images have been associated with putative water plumes rising above Europa’s surface5,6, providing support for the ocean theory. However, all telescopic detections reported were made at the limit of sensitivity of the data5–7, thereby calling for a search for plume signatures in in-situ measurements. Here, we report in-situ evidence of a plume on Europa from the magnetic field and plasma wave observations acquired on Galileo’s closest encounter with the moon…. (6) AT THE CANYONS OF MADNESS? BBC says “Giant canyons discovered in Antarctica”. Scientists have discovered three vast canyons in one of the last places to be explored on Earth – under the ice at the South Pole. The deep troughs run for hundreds of kilometres, cutting through tall mountains – none of which are visible at the snowy surface of the continent. Dr Kate Winter from Northumbria University, UK, and colleagues found the hidden features with radar. Her team says the canyons play a key role in controlling the flow of ice. And if Antarctica thins in a warming climate, as scientists suspect it will, then these channels could accelerate mass towards the ocean, further raising sea-levels. The ancestors of modern birds may have survived the asteroid strike that wiped out the rest of their kin by living on the forest floor. The new theory, based on studying fossilised plants and ornithological data, helps explain how birds came to dominate the planet. The asteroid impact 66 million years ago laid waste to the world’s forests. Ground-dwelling bird ancestors managed to survive, eventually taking to the trees when the flora recovered. “It seems clear that being a relatively small-bodied bird capable of surviving in a tree-less world would have conferred a major survival advantage in the aftermath of the asteroid strike,” said Dr Daniel Field of the Milner Centre for Evolution at the University of Bath. (8) BEAN OBIT. 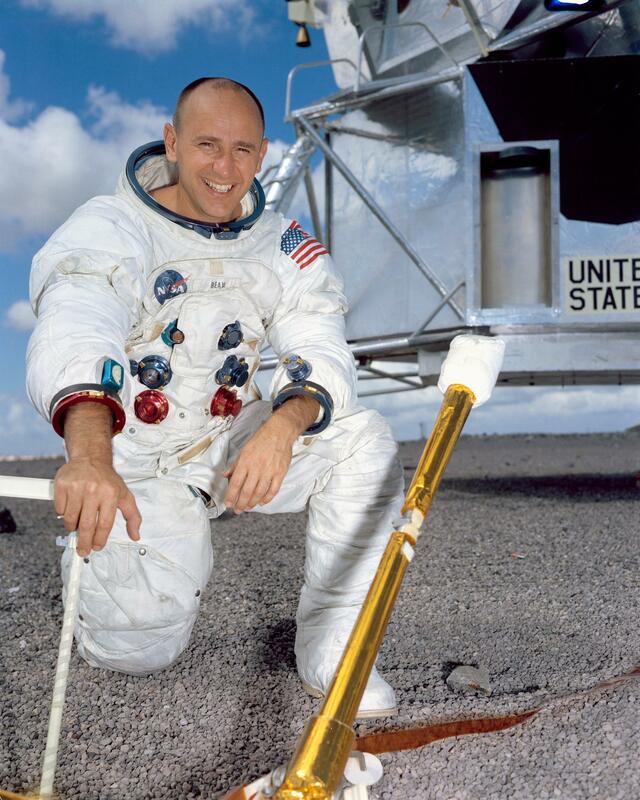 Moon explorer and Skylab astronaut Alan Bean died May 26. NASA has posted a “Family Release Regarding the Passing of Apollo, Skylab Astronaut Alan Bean”. Apollo and Skylab astronaut Alan Bean, the fourth human to walk on the moon and an accomplished artist, has died. Bean, 86, died on Saturday, May 26, at Houston Methodist Hospital in Houston, Texas. His death followed his suddenly falling ill while on travel in Fort Wayne, Indiana two weeks before. A test pilot in the U.S. Navy, Bean was one of 14 trainees selected by NASA for its third group of astronauts in October 1963. He flew twice into space, first as the lunar module pilot on Apollo 12, the second moon landing mission, in November 1969, and then as commander of the second crewed flight to the United States’ first space station, Skylab, in July 1973…. On Nov. 19, 1969, Bean, together with Apollo 12 commander Charles “Pete” Conrad, landed on the Ocean of Storms and became the fourth human to walk on the moon. During two moonwalks Bean helped deploy several surface experiments and installed the first nuclear-powered generator station on the moon to provide the power source. He and Conrad inspected a robotic Surveyor spacecraft and collected 75 pounds (34 kilograms) of rocks and lunar soil for study back on Earth. Of all of the monsters known to man, which one could possibly be considered more iconic than Count Dracula? The quintessential vampire, Count Dracula has inspired tens of films and stories the world over, not to mention the virtual immortality of the character during as a beloved Halloween character. For all of these reasons, it’s undeniable that this icon of horror more than deserves his own little holiday so the world can show its appreciation for his contributions to the worlds of cinema and literature over the centuries. So put on your fangs, and let’s sink out teeth right into this, shall we? Chip Hitchcock discovered the game of Monopoly roused surprisingly strong feelings in these Something Positive characters. (13) SARTORIAL SPLENDOR. Indeed, it is a most absolute and excellent hat. (14) HOLLYWOOD LAWYERS FIND WORK. Sesame Street production company Sesame Workshop (formerly known as Children’s Television Workshop) has sued distributor STX over Melissa McCarthy’s new movie The Happytime Murders. The makers of Sesame Street are suing the promoter of a new Melissa McCarthy movie, saying it’s abusing the famed puppets’ sterling reputation to advertise the film. A judge Friday scheduled a hearing next week to consider a request for immediate relief by Sesame Workshop, which sued Thursday in federal court for unspecified damages. The film, The Happytime Murders, is scheduled for release Aug. 17. McCarthy plays a human detective who teams with a puppet partner to investigate grisly puppet murders. STX Productions LLC says in a statement it is confident in its legal position. Apparently, the puppet-based entertainment industry is more divided than we knew. The people behind Sesame Street may not like it, but The Happytime Murders has the imprimatur of Muppet royalty: the director is none other than Jim Henson’s son, Brian Henson, who is also the chairman of the Jim Henson Company, and will feature a number of puppeteers from various Muppet movies. She knows how to swim even though she spent her entire life on a desert planet, she’s as powerful as Kilo Ren despite receiving no training from Luke, she’s as skilled of a swordsman as Obi Wan, and now she can gun the Millennium Falcon like a pro in a matter of minutes. She apparently seems to know everything about stuff she should know nothing about. OK, Rey doing things she shouldn’t have been able to do in The Force Awakens was stupid too. But this is reaching it. This is really reaching it. Oh I don’t know. Luke blocks multiple gadget beams blindfolded with a light saber the first time he wields it. After only a few hours of training in the Force, he pinholes the shot that takes out the Death Star. After only a couple of months of training with Yoda, even Darth Vader is impressed. Never mind that even the best Jedi are trained all their life from toddlership by a team of instructors in an academy. (16) ON HIS GAME. And Chuck Tingle is skeptical about some gameplaying skeptics…. (18) MULTIPLE DUNII. Consequences of Sound reports “Denis Villeneuve confirms his Dune adaptation will be split between two films”. (19) DESPITE POPULAR DEMAND. Borys Kit in The Hollywood Reporter story “‘Star Wars’: Boba Fett Movie in the Works With James Mangold”, says that James Mangold and Simon Kinberg, who last worked together on Logan (which Mangold directed and co-wrote and Kinberg produced) have been signed by Disney to develop a Boba Fett movie. (20) KEEPING IT LEGAL. Like everyone else whose internet babblings are read in Europe, Timothy the Talking Cat is updating Cattimothy House security policy. Due to the recent legislative changes in the European Union (a body not recognised by our founder and CEO, Timothy the Talking Cat), we have made several changes to our security policy. Post lists of your names and misdeeds as a notice in the town square. Maintain in a dark basement a wall with your photographs joined together with lines of red twine, with some faces circled in red marker and others defaced with a huge question mark…. (1) WIKIPEDIA. What an amazing coincidence (or not)! 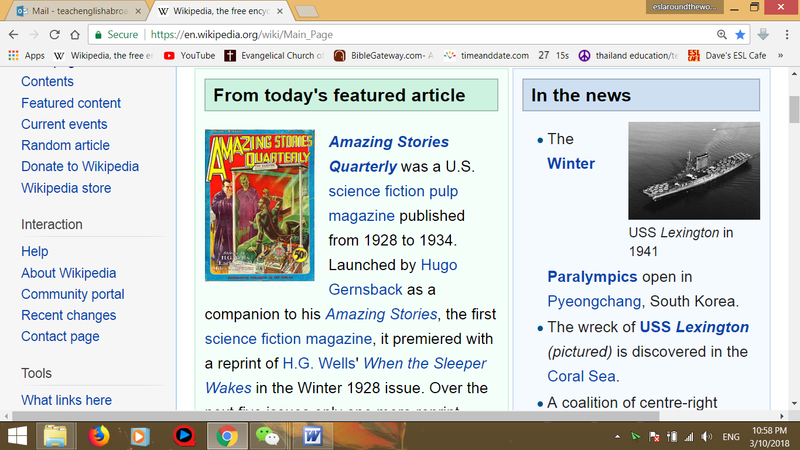 Amazing Stories is Wikipedia’s Featured Article today. I hope it gives Steve Davidson’s Kickstarter a boost. You’ve always been able to support the WMAF via our Donate page, during the Registration process, or by using our direct Paypal link. Buy shirts at this link. (3) UNRECOGNIZED. Scott Bradfield explains why pop culture fame eludes Clark Ashton Smith in “The Bard of Auburn: Getting Weird in the Long Valley” for LA Review of Books. WHEN IT COMES to being underrated, Clark Ashton Smith has long been a quadruple-threat. For more than a century, Smith has been unfairly disregarded as a poet, a short story writer, a painter, and even a sculptor; had he perhaps enjoyed just a little professional good fortune during his lifetime, he might have gone on to spend his twilight years being unfairly disregarded in numerous additional endeavors: prose poetry, novel writing, drama, screenwriting, you name it. Instead, he spent those last decades as a gardener and handy-man, never achieving the recognition of his friends and fellow Weird Tales contributors, H. P. Lovecraft and Robert E. Howard. Almost unforgivably, no proper biography has yet been published about Smith — only a scattering of bibliographies and essays from small (but resolute) specialty presses. In many ways, this ponderous, multi-generational neglect of Smith isn’t hard to understand. Unlike Howard (the stylish creator of Conan and Solomon Kane), Smith never wrote filmable series characters that could be played by the likes of Arnold Schwarzenegger and Vin Diesel…. (5) AS SANDS THROUGH AN HOURGLASS. “Dune reboot will span two movies, take at least two years, says Denis Villeneuve” reports SyFy Wire. We’ve known for a while that Denis Villeneuve is working on a reboot for Dune, Frank Herbert’s landmark sci-fi novel famously adapted for the big screen by David Lynch all the way back in 1984. But now we’re learning that Villeneuve has no plans to try to cram everything from the sprawling source material into just one movie. Via The Playlist, Villeneuve recently told a crowd gathered for a Montreal film event that his adaptation of the 1965 novel “will probably take two years to make,” with a goal of making “two films; maybe more.” That bomb drop reaffirms Villeneuve’s long-haul commitment to what’s long been a passion project. (6) WIKIMYSTERY. A scholarly paper posits the automatic generation of adventure games from open data such as Wikipedia articles, OpenStreetMap, and images from Wikimedia Commons: “Who Killed Albert Einstein? From Open Data to Murder Mystery Games”. Every WikiMystery game revolves around the murder of a person with a Wikipedia article and populates the game with suspects who must be arrested by the player if guilty of the murder or absolved if innocent. Starting from only one person as the victim, an extensive generative pipeline finds suspects, their alibis, and paths connecting them from open data, transforms open data into cities, buildings, non-player characters, locks and keys and dialog options. The paper describes in detail each generative step, provides a specific playthrough of one WikiMystery where Albert Einstein is murdered, and evaluates the outcomes of games generated for the 100 most influential people of the 20th century. (7) CARTOON NETWORK. The Hollywood Reporter tells readers: “Cartoon Network Unveils Largest-Ever Slate of Content for 2018-19”. Among the new shows is Diego Molano’s Victor and Valentino, a supernatural comedy about a pair of half-brothers who spend the summer with their grandmother in a mysterious town where Latin American folklore comes to life, and Owen Dennis’ Infinity Train, which has already developed a passionate following through the network’s Artist Program, about a girl who tries to find her way home from a train full of infinite worlds. Victor and Valentino is slated to release this year, while Infinity Train will reach viewers in 2019. Other new Cartoon Network shows include buddy-comedy Apple & Onion, set in a world of anthropomorphic food; the surrealist animal adventure Summer Camp Island; and adventure comedy Craig of the Creek, which follows the expeditions of a group of best friends across a neighborhood creek. (9) SHARKE WATCH. Shadow Clarke jury convenor Dr. Helen Marshall provides “A Means of Escape: A Round-Up of Our Posts So Far”. As we eagerly await the end of the snows and the release of the submissions list, which will launch the first major phase of the Arthur C. Clarke jury’s deliberations, I thought it would be useful to pause for a moment and reflect upon the major threads introduced by our jury members so far. In assembling the jury, Maureen and I wanted to draw together reviewers from different backgrounds and with different ideas of what criticism might mean and what it ought to do. I’ve been delighted to see the range of approaches offered so far as well as the questions they open up. What follows then are my own impressions of some of the major threads that connect these approaches. (10) SF ENCYCLOPEDIA CREATOR. Here’s the text of Peter Douglas Nicholls’ death notice that appeared in The Age of Melbourne on March 9. 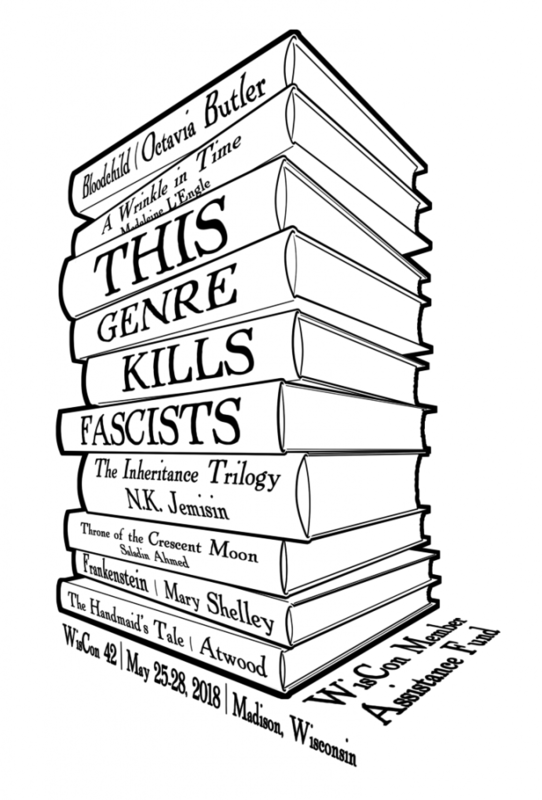 Science fiction critic, encyclopedist, bon vivant, and pontificator. Died on 6th March 2018, aged 78, surrounded by family. Inspired adoration and exasperation in equal measure. Remembered with enormous love by his sister, Meg; children, Sophie, Saul, Tom, Jack, and Luke; grandchildren, Pia, Cassia and Uma; and his wife, Clare Coney. A party in my dreams. March 10, 1997 — The Warner Brothers (WB) television network airs the inaugural episode of Joss Whedon’s, Buffy the Vampire Slayer. (12) ELLISON. Damien Walters posted his 2013 interview with Harlan Ellison last October, and linked to it on Facebook today. DW: You famously described sci-fi fandom as an “extended family of wimps, twinks, flakes and oddballs.” But don’t the geeks kind of run the world now? HE: I am a steadfastly 20th-century guy. I’ve always been pathologically au courant. Even today I can tell you the length of Justin Bieber’s hair. But it has now reduced society to such a trivial, crippled form, that it is beyond my notice. I look at things like Twitter and Facebook, and “reality TV”?—?which is one of the great frauds of our time, an oxymoron like “giant shrimp”?—?and I look at it all, and I say, these people do not really know what the good life is. I look at the parched lives that so many people live, the desperation that underlies their every action, and I say, this has all been brought about by the electronic media. And I do not envy them. I do not wish to partake of it, and I am steadfastly in the 20th century. I do not own a handheld device. Mine is an old dial-up laptop computer, which I barely can use?—?barely. I still write on a manual typewriter. Not even an electronic typewriter, but a manual. My books keep coming out. I have over 100 books published now, and I’ve reached as close to posterity as a poor broken vessel such as I am entitled to reach. (13) PETS WHO SLEEP NEAR WRITERS. Mark-kitteh made sure we didn’t miss “13 Of The Most Adorable Pets Owned By Famous Writers” at Buzzfeed. Researchers in Zurich are teaching a robot how to balance on wheels attached to its four legs. 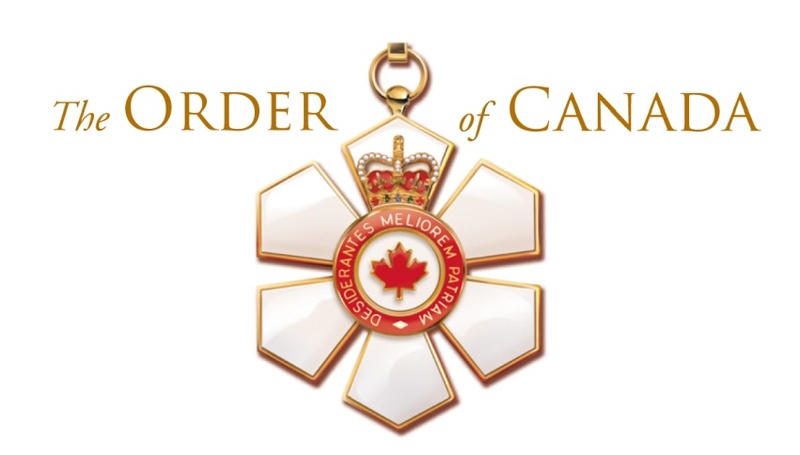 The goal is to help it complete search and rescue missions and other tasks in less time. (15) BOOM, JAMES BOOM. The volcano used in You Only Live Twice is throwing off ash, lava and rocks – but no rocket launch parts: “Mount Shinmoedake: Warning over Japan’s James Bond volcano”. (16) PURPLE HAZE? When they’re done, they have an educated guess: “Alien atmospheres recreated on Earth”. “Clouds and hazes determine the temperature and the chemistry of the atmosphere, and also how deep we can look into a planet’s atmosphere,” explained Dr Helling. While clouds form from the continuous cycling of material, much like the hydrological cycle on Earth, the process of producing hazes is “more of a one way trip” according to Dr Hörst. The solid particles then remain in the planet’s atmosphere, where they can scatter light and affect the surface temperature, or travel to the surface via precipitation. (17) ROBOTS BEHAVING BADLY. CNN Money gives a video demonstration: “Watch this robot get attacked by ransomware”. (18) MOVIE THEOLOGY. The Washington Post’s Michelle Boorstein finds Coco opens the way for a decreasingly religious America to discuss the idea of an afterlife for loved ones: “How the Oscar-winning ‘Coco’ and its fantastical afterlife forced us to talk about death”. There is little solid data on the wide range of beliefs Americans have about post-death existence and how those views are changing. Much of what there is has to do with the words “heaven” and “hell” — amorphous for many. Seventy-two percent of Americans say they believe in heaven, and 58 percent in hell — numbers very slightly down since about a decade ago, according to the Pew Research Center. People who work with the dying say these beliefs are fluid. Haroutunian said he doesn’t think hammering out theology around the afterlife is a particularly common priority for the dying. However, he said, a common experience among hospice workers is hearing people who are dying start to speak of the deceased — long-dead family or friends — in the present tense, “like they’ve been talking with them.” Metaphors about travel are extremely common, he said: I’m getting on a train, taking a bus ride, packing my bags. “It’s uncanny,” he added. (19) PRODIGY. 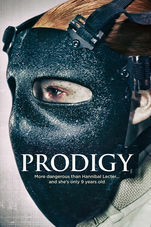 Alex Haughey and Brian Vidal’s Prodigy, to be released March 13, is available for pre-order at iTunes. Prodigy follows Dr. Fonda, a psychologist with a mysterious new patient. After being searched and issued warnings, he is taken to a cell where he finds Ellie, a young girl strapped in a straitjacket. Ellie immediately begins dissecting Fonda, revealing her genius-level intellect. Fonda holds fast, only faltering when Ellie claims to have killed her own mother. The team observing this interaction suggest Ellie is more dangerous than Fonda knows. She possesses “gifts” they wish to analyze — a process which will result in Ellie’s death. With the execution scheduled for the next day, Fonda must alter his strategy. 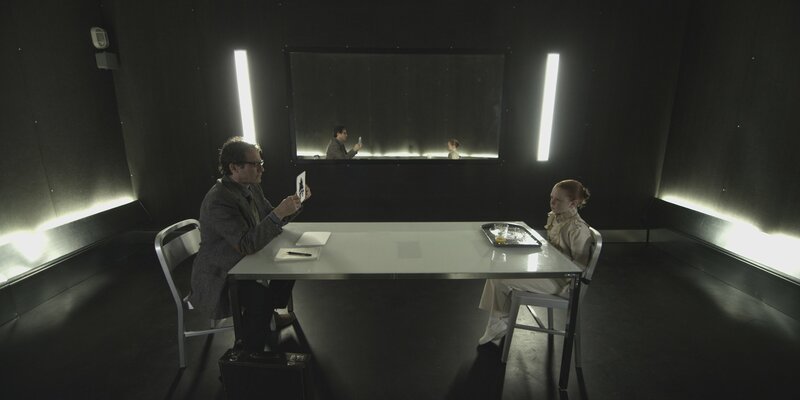 He engages Ellie in a battle of wits, which results in Ellie’s telekinetic “gifts” revealing themselves. Objects hover, furniture topples, the foundation of the building quakes, but Fonda continues chipping away at Ellie’s tough facade. His methods begin to win over the experts, but he will need drastic results to prove the monster they see is actually a child worth saving. Villeneuve’s credits include the movies Arrival and Blade Runner 2049.